A dealership may get many ride request in a day from various passengers. The best way to manage them is by the use of Quickride. Before, the Driver is in control who gets to go first. But now with Quickride, it has automated the way the rides get assigned. 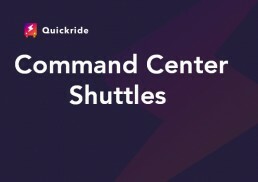 Rides get assigned to the shuttle driver based on Quickride’s algorithm. 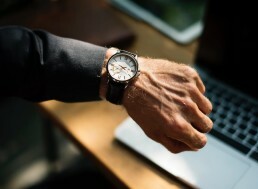 When onboarding passengers, Drivers need to ensure that they follow the correct process. If the Drivers skips or goes out of order, they Passenger’s ETA will get affected. 1. Press “Go” to start driving to the passenger’s location. 2. Upon reaching the location click “DONE” once the passenger on boards the vehicle. The Driver will be asked “Has the passenger entered the vehicle” click on “YES”. 3. Then click “GO” to start driving back to the dealership. 4. Once the customer gets off the vehicle, press “DONE”. Finally, it will ask, “has the passenger exited the vehicle?”, choose “YES” this will close out and mark the ride request as Completed in the Command Center. 5. Repeat for remaining passengers. 1. 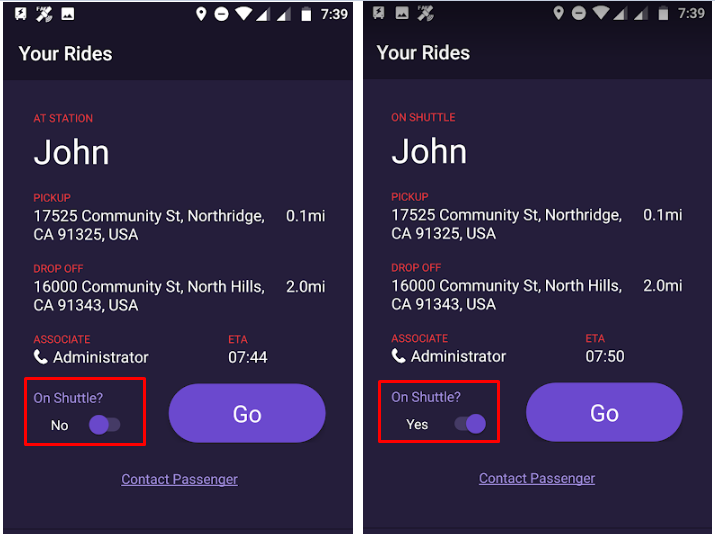 Once the passenger is physically in the vehicle, select “Yes” ON SHUTTLE. 2. Press “Go” to start driving to the passenger’s location. 3. Once the customer gets off the vehicle, press “DONE”. It will ask, “has the passenger exited the vehicle?”, choose “YES” this will close out and mark the ride request as Completed in the Command Center. 4. Repeat for remaining passengers.